The essence of my work attempts to convey the timeless spirit of Dartmoor with its ever changing moods and atmospheric scenery. 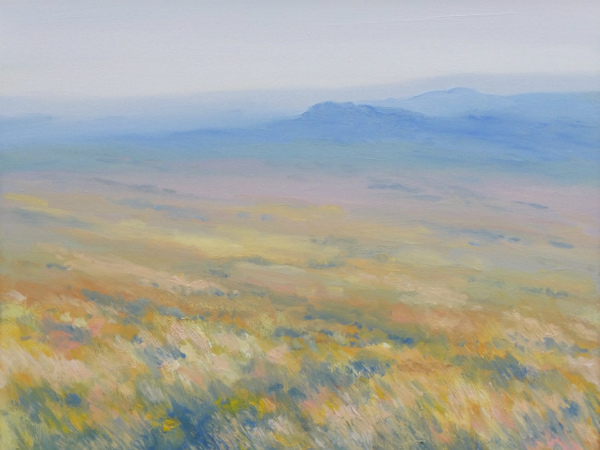 The wild moors provide an alternative to the constant buzz and connectivity of modern life. As my home village backs onto Dartmoor, I can experience the moors in all weathers creating the inspiration for my paintings. I prefer to use a small selection of oil colours, creating an image that represents my chosen location. Usually I make preparatory sketches or quick watercolour paintings whilst out in the open and return to my attic studio to complete the pieces.